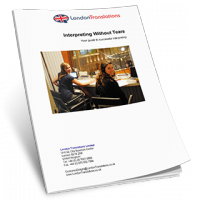 I would like to thank London Translations and the fast and efficient services provided by your Customer Services Team. 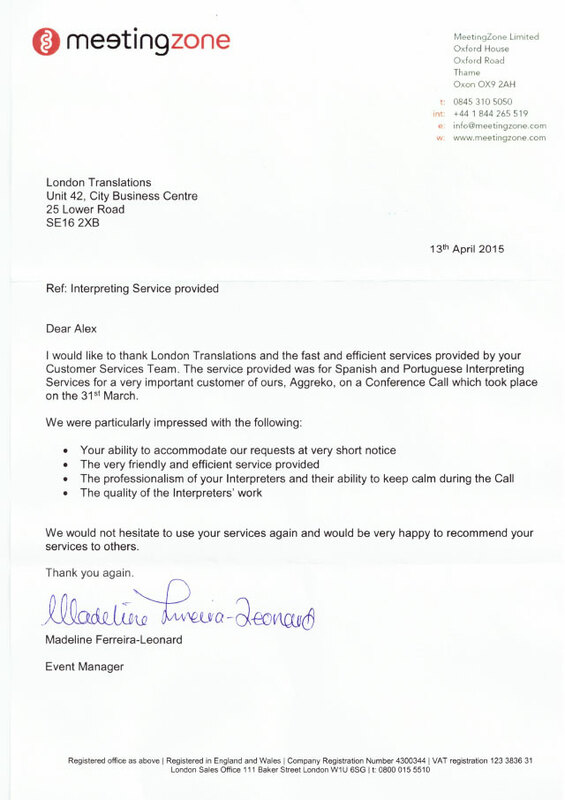 The service provided was for Spanish and Portuguese Interpreting Services for a very important customer of ours, Aggreko, on a Conference Call which took place on the 31st March. We would not hesitate to use your services again and would be very happy to recommend your services to others.